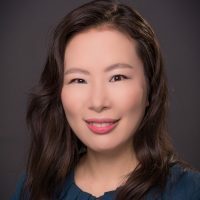 Dr. Lee currently serves as Chief Medical Health Officer and Vice-President, Population Health in the Fraser Health Region of British Columbia. As the Chief Medical Health Officer, her primary mandate is to prevent disease, protect health and promote wellness in populations and communities in the Fraser region. She also provides executive leadership and strategic oversight in the areas of Aboriginal Health, South Asian Health Institute, Mental Health and Substance Use and Population and Public Health. Prior to joining Fraser Health, Dr. Lee worked in consultative roles with national and international organizations including the United Nations Development Programme and the World Bank in the areas of comparative health systems, health policy, health financing and ecohealth. She also worked as a travel physician in rural communities in Chile and Brazil. Her research interests include health equity, comparative health systems, community-based primary health system, population and public health performance and clinical prevention.